One of the greatest things about poker is the drama of the game itself. Just imagine the thrill professional players feel while they play, knowing that a single card could change their lives forever. Knowing how popular poker is and what a huge public it appeals to, many Hollywood directors have created films about poker. Want to know which are the best poker movies of all time? Read below to find out. What’s more, if you’re new to online betting use this bonus code to get the inside track. The movie follows the origin and development of the online poker industry in the 2000s and it portrays the way it influences the new generation of professional poker players. In the centre of events are three characters: Danielle, Tony, and Martin. The movie tells the story of the financially strapped Gerry, who decides to team up with a younger and more charismatic poker player named Curtis. But Curtis, who acts as Gerry’s guardian angel, is actually the same miserable guy as Gerry. Eventually, the duo decides to go on a road trip through the Southern states in an attempt to win back what Gerry had lost. Otherwise, they could starve. When Bill and Charlie meet they are both in a Southern California betting club. While Bill has a full-time job as a journalist and only gambles occasionally, Charlie has something of a gambling career and is determined to become a true professional. As the two start to spend more time together, Bill begins to run with Charlie’s company, and he even runs up huge debts, too. The movie tells the story of Bret Maverick, a professional poker player who would rather con people than confront them. Like other professional poker players, Maverick wants to win a winner-takes-all poker championship, but it turns out that he can not buy a seat, so he turns resolves to collecting some of the debts people owe him to raise the money he needs. Molly’s Game portrays the life of Molly Bloom, an Olympic-class skier, who had been running the world’s most private high-stakes poker game for 10 years before she getting arrested. Among her clientèle were top-class royalties, sports stars, entrepreneurs, and even the Russian mob itself. After the arrest, the only person who remains on Molly’s side is her criminal defense lawyer who knows that there is something about Molly which the newspapers do not cover. Set in the world of poker cheaters and martini bars in Vegas, Shade tells the story of Tiffany, Charlie, and Venom – con-artists who have grown tired of performing the same old crimes. 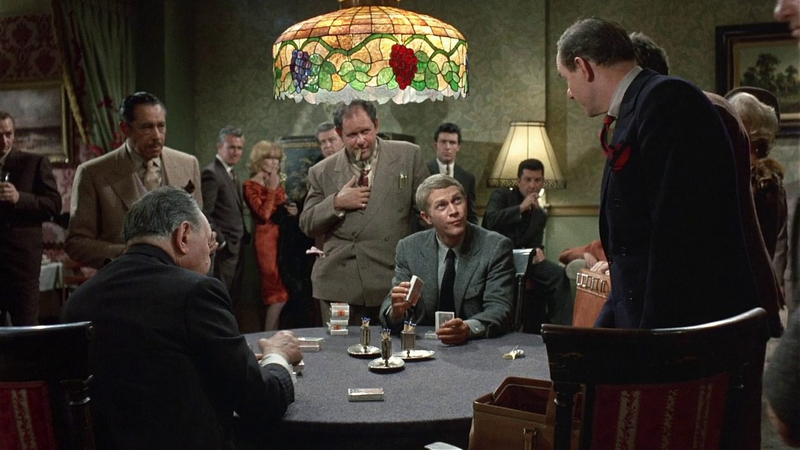 The group finds a way to cheat Dean “The Dean” Stevens – a popular cardsharp. But if they want to compete against The Dean, they have to get enough money to buy a seat first. Not the typical poker movie, but worth the watch nevertheless. Agent 007 sets off on his first mission after being granted a license to kill. In the movie, the agent has to defeat criminals in a high-stake poker game in Montenegro casino. The movie tells the story of a fresh poker player coming from New Orleans to fight the best poker player in America, known simply as “the Man”. After dominating the tables for years, the Man finally has someone as good as himself to fight him. Stu Ungar was the youngest-ever winner at the World Series of Poker Main Event. After a prosperous poker career where he won more than $30 million, Stu died with nothing to his name. High Roller: The Stu Ungar Story is a must-see movie for all poker fans as it not only shows how successful a gambler could be, but also how quickly gamblers can hit rock bottom. Arguably the best poker movie ever made, Rounders tells the story of a reformed gambler who is lured back into high-stakes poker when a friend asks him for help to repay a debt. The movie shows viewers what life was like in late 1990s New York high-stakes poker circles. Rounders received mixed reviews, but nevertheless, it is considered one of the best poker-related movies ever made. So that was our list with the ten best poker-related movies ever made. Of course, it is not only poker that inspires directors and writers to join forces and create a movie. For example, in another 007 movie, Diamonds Are Forever, Bond does not play cards, but roulette. Everyone knows where to play roulette, it’s preferred by many gamblers for its quick pace and numerous betting options. In addition, there are two various types of roulette games.